Tax avoidance may not be illegal, but it has severe consequences for national governments and their public-spending policies. Jim Banks speaks to Pascal Saint-Amans, director of tax policy at the OECD, which, along with the G20, has been busy finding ways to control common practices such as base erosion and profit shifting, to see how quickly the legislative loopholes are closing. 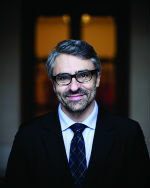 For a man with a central role in addressing a complex global problem that costs governments billions of dollars in tax revenue every year, Pascal Saint-Amans, director of the Centre of Tax Policy and Administration for The Organisation for Economic Co-operation and Development (OECD), has a very positive outlook. When we speak, he has recently returned from the latest G20 summit, where the OECD/G20 base erosion and profit shifting (BEPS) project was high on the agenda. The project has comprehensively analysed the problem of legal practices that exploit mismatches in tax rules to enable international companies to shift profits to low or no-tax jurisdictions. The issue recently hit the headlines with the European Commission’s demand that Ireland recoup €13 billion in back taxes from Apple, which has arbitraged differences in national tax regimes to significantly reduce its tax burden. Apple, which faced a maximum tax rate of just 1.0 rather than 12.5% through an agreement with Ireland’s tax authorities, may be the biggest name making headlines, but it is by no means alone. “The phenomenon of BEPS is a big problem. It is a conservative estimate to say that between €110 billion and €240 billion of government revenue is at stake every year. It affects developed and developing countries, though the latter are more exposed to corporate income tax. It is a problem that undermines confidence in the fairness of the tax system,” says Saint-Amans. “There are big cases like Apple, and other European and US companies where legal arrangements make aggressive tax planning routine business. The problem is that CEOs may confuse fair with legal, but the system is not fair. Policies may be legal, but they should also be fair because there is an effect on poorer people and the middle class, who have paid for the tax shortfall through rises in VAT and other measures. Apple may be able to pay just 0.005% tax on overseas profit as it did in 2014, but that does not mean it should,” he adds. The OECD team has taken the view that because such practices are legal; the solution to the problem is to change the law. The BEPS project is designed to close the gap between international tax rules and the practices of multinational companies to get to the root of the problem. The intent is noble, but the road towards a solution is not an easy one to travel. Progress is nevertheless being made, which is why Saint-Amans is optimistic about the future. “Their big challenge is to make sure there is proper, consistent and holistic implementation of what was agreed in November 2015. We are seeing it implemented in the EU, and we have put in place an inclusive framework for implementation, review and oversight. We are helping countries to change domestic legislation. It is a complex process, but we have robust processes based on peer input, so countries are interacting with each other, and they report to the G20 and to the public to ensure transparency. The new mechanism should put 85 countries on an equal footing,” he remarks. The BEPS project has taken a comprehensive approach to the many complex issues that arise from harmonising international legislation. It has covered all the bases with its action areas [see ‘The action areas’, page 18] in all of which there is considerable progress. During the summer, the OECD council took many steps towards implementation. For example, it approved amendments to transfer-pricing guidelines for multinational enterprises and tax administrations, which provide substantive guidance and, in some OECD countries, governing law. It also issued guidance on the implementation of country-by-country reporting. The project’s recommendations contained in its final 2015 reports are, in fact, being implemented in the 35 OECD member countries and in many other non-member jurisdictions. EU member states have reached agreement on the Anti-Tax Avoidance Directive (ATAD), which builds on the OECD recommendations and requires the adoption of rules on the reporting of tax-related information by multinationals and the exchange of that data between countries. “We are seeing major change already, which is very reassuring. The 15 measures are progressing, including the most high-profile one, which is country-by-country reporting. Many countries are enacting legislation for that on time. Three years ago, this was just an idea, but in 2017 it will become a reality. Action 15, which deals with tax treaty changes, is a challenge because there are around 3,500 bilateral treaties around the world, but we have developed an instrument for renegotiation that will change thousands of treaties at once,” says Saint-Amans. The phenomenon of BEPS is a big problem. It is a conservative estimate to say that between €110 billion and €240 billion of government revenue is at stake every year. While there is little concrete evidence that multinational companies are changing their tax practices, there are some signs that they are braced for impact. Analysis undertaken by the Financial Times in March suggests that the number of US companies warning investors of the risk of higher taxes had doubled compared with the previous year. A similar trend was noted among European companies. There is also another nascent trend that is expected to gather momentum – companies moving out of tax havens such as Bermuda, to which Google moved €10.7 billion in 2014 through the Netherlands. The tax strategy Google used is known as ‘double Irish, Dutch sandwich’ because it involved moving the revenue of Google Netherlands, which came mainly in the form of royalties from an Irish affiliate, to a Bermuda-based but Irish-registered affiliate. “We have started to see moves out of Bermuda and other tax havens, and we are seeing Irish GDP rise as companies move their operations there. Companies should be risk-averse and those first movers send the right message. They help to restore trust. There is a public relations benefit for them in compliance with a fair tax system. The past was about rules that could be abused but things are changing,” Saint-Amans remarks. There are still many tax havens around the world – Andorra, the Bahamas, Belize, Bermuda, the British Virgin Islands, the Cayman Islands and Panama to name but a few – and by some estimates they hold as much as $27 trillion in private financial assets that have not come under the global tax regime. Similarly, cross-border financial flows to tax havens from developing economies could be as great as $2.3 trillion annually every year. Getting consensus between many national governments over how to tackle the problem of tax havens, where financial dealings are deliberately opaque, is no easy task. Saint-Amans believes, however, that the ultimate benefits are sufficient to get everyone talking the same language. “Governments have a real appetite for exchanging views but the issue is complex because there may be conflicting interests. But they understand that cooperation is the better option for protecting tax sovereignty. It used to be the other way around but globalisation changed that,” he notes. The BEPS project is currently on schedule and, if all parties remain engaged, then that should remain the case. Saint-Amans’ optimism is justified because the project is firmly rooted in the notion of fairness and so benefits all parties in the long run.